There are many credit cards that offer sign up bonuses ranging from $50 to $250 and sometimes even more depending upon how good your credit score is. Moreover, if you use your credit card properly, you can earn points that can be converted into rewards like discounts on purchases, gift cards, cash back on everyday purchases, and air travel. 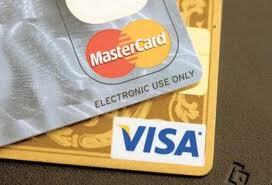 Many credit cards have a point system where you can earn points against spending. When you earn certain points, you can redeem your points for rewards. These rewards also include gift cards at some stores which can used for discounted holiday or birthday shoppings. Therefore, you should make a rule for yourself to pay off any balance in full every month in order to avail these benefits. When your balance is fraudulently taken away from a debit card, the money is missing instantly. It will affect your credit worthiness and make your creditor unhappy because the scheduled payments will bounce back due to insufficient funds. Financial institutions will take time to reverse these fraudulent transactions and hence, will adversely affect your business. However, you can avoid these fraudulent losses when you are using a credit card. In case of a credit card fraud, your money is not lost. You just inform a credit card company about the fraudulent transaction and do not approve payment for it while the credit card companies resolve the situation. When you purchase products from a debit card, your money is gone instantly. But it is not the case with credit cards because your money stays in the account for at least two weeks before you repay your credit card bill. It is very helpful because you do not have to worry about your bank balance in case of emergency. Moreover, if you are paying your credit card bills from a checking account with high interest rate, you can earn extra interest during the grace period and add up a meaningful amount to your account. Rental car services and hotels prefer credit card because they find it easier to charge the clients in case they damage the hotel property or rental car. Also, if you want to make payment for one of these items through a debit card, these companies will require you to have hundreds of dollars in your account before executing any financial transaction. Moreover, credit card is universally accepted especially when you are travelling abroad because merchants do not accept debit cards even if it has a logo of the famous banks on it.